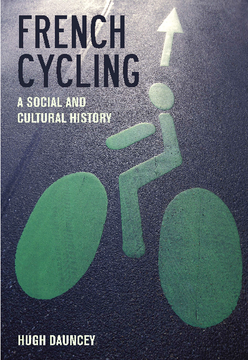 French Cycling: a Social and Cultural History aims to provide a balanced and detailed analytical survey of the complex leisure activity, sport, and industry that is cycling in France. Identifying key events, practices, stakeholders and institutions in the history of French cycling, the volume presents an interdisciplinary analysis of how cycling has been significant in French society and culture since the late Nineteenth century. Cycling as Leisure is considered through reference to the adoption of the bicycle as an instrument of tourism and emancipation by women in the 1880s, for example, or by study of the development in the 1990s of long-distance tourist cycle routes. Cycling as Sport and its attendant dimensions of amateurism/professionalism, national identity, the body and doping, and other issues is investigated through study of the history of the Tour de France, the track-racing organised at the Vélodrome d'hiver in Paris in the 1920s and 1930s and other emblematic events. Cycling as Industry and economic activity is considered through an assessment of how cycling firms have contributed to technological innovation at various junctures in France's economic development. Cycling and the Media is investigated through analysis of how cyclesport has contributed to developments in the French press (in early decades) but also to new trends in television and radio coverage of sports events. Based on a very wide range of primary and secondary sources, the volume aims to present in clear language an explanation of the varied significance of cycling in France over the last hundred years. An Open Access edition of this work is available on the OAPEN Library. A timely study of cycling in France on the eve of the 2013 centenary of the Tour de France Ranges widely across the subject, focusing on the bicycle's role in every day life as well as in competitive sport An essential contribution to the study of French popular culture since the 19th Century. Hugh Dauncey is Senior Lecturer in French at Newcastle University. He has authored and edited numerous studies of French popular culture, including (with G. Hare) The Tour de France, 1903-2003: A Century of Sporting Structures, Meanings and Values (Frank Cass, 2003) and France and the 1998 World Cup: The National Impact of a World Sporting Event (Frank Cass, 1999).